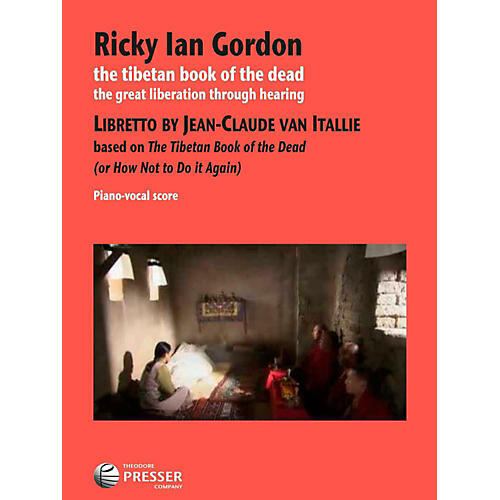 Based on Jean-Claude van Itallie's play after the Buddhist teachings of the same name, The Tibetan Book of The Dead leads us through the stages we experience after death and our transition into the next life. It is at once a ritual, an oratorio in 17 set numbers, a requiem, a warning, and a theatrically-staged wake. The 8 characters include a baritone ("The Reader" leading the journey towards death, enlightenment, or rebirth), a soprano (first as "The Dying" and then as "The Dead") and another soprano, two mezzos, two tenors, and a bass, who play the various energies, demons, temptations, memories, and deities.